Shoop Sculptural Design work featured in NEA Big Read Exhibition "Comic Books: Parallel Universes"
As part of the 2019 NEA Big Read in the St. Croix Valley programming around the themes of Station Eleven, ArtReach St. Croix will host Comic Books: Parallel Universes, from April 4 to May 11. James Shoop and his Shoop Sculptural Design will be one of the featured artists. In addition to examples of comic book characters, he promises a look at an original piece that he has never before revealed. For a world under threat and in transition, Shoop’s work will interpret popular comic book characters and versions of the hero. As at other points in history, a post-apocalyptic world needs superhero figures who can tip the scales in favor of humanity. James Shoop has been sculpting professionally since 1983. He began his career working with his father Wally and brothers Wally Jr. and John at Shoop’s American Bronze Casting in Osceola, WI. While there, he specialized in mold making, wax casting, sprueing, and finishing for his own work and the work of others - all hands-on aspects of the process, important for quality control. Shoop credits this early experience with his ability to judge what will work and be capable of reproduction. After ten years perfecting these skills, urged by then fiancée Kim Murphy, he went to New York to study at the Art Students League, the National Academy of Design, and the New York Academy of Art, where he concentrated on sculpting the human face and form. t-shirts and figurines. 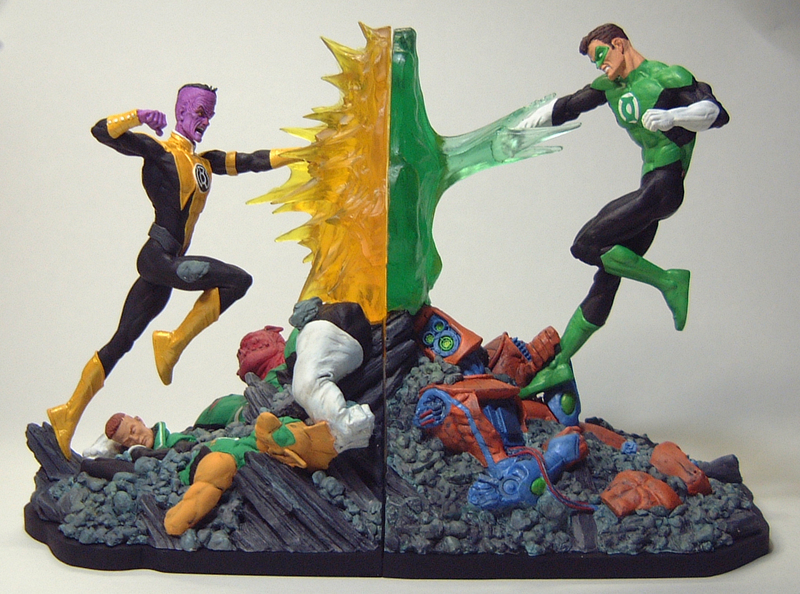 James became Warner Bros.’s second sculptor, turning characters into collectible art. He worked for Warner Bros. with virtually no time off for ten years. When company mergers closed the chain of stores, Shoop became a sculptor for Warner Bros. subsidiary DC Comics. He sculpted the original figure, made a mold and cast it in resin. His now wife, Kim, painted the figure so that the manufacturer could match the colors. He created superheroes and comic characters for ten years until digital sculpture reshaped the market - although he says that many 3D printer artists do not match the quality of a trained sculptor. Shoop points out that he is one of many independent, free-lance artists scattered across the country doing work for corporations. He has switched his focus to fine art, private and public commissions, and monumental work. The superheroes persist, however. When reached at his home in St. Croix Falls, James was sculpting football and superhero figures for Hallmark. Comic Books: Parallel Universes will be on view April 4 to May 11 at ArtReach St. Croix, 224 N. 4th Street, Stillwater, MN. The exhibition will also feature works by three area comic book artists: Fiona Avocado, Chelsea Dicken, and Randi Hoyt. The NEA Big Read Kick-Off and Artists’ Reception will be Thursday, April 4, 6-8 p.m. 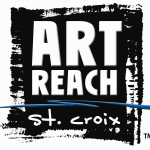 In addition to this show, Shoop’s work is available for viewing and sale in his gallery Studio 366 in the Northrop King Building in NE Minneapolis. For those wanting a hands-on bronzecasting experience, Shoop teaches sculpture at the Atelier Studio Program in Minneapolis and Studio Pintura at Northrop King. His work will also be included in the ArtReach Holiday Pop-up Shop, with dates and location to be announced later this year. Lynne Bertalmio is an art lover, book reader and former director of the Stillwater Public Library.